Satellite Meter Signal Strength Finder!!! 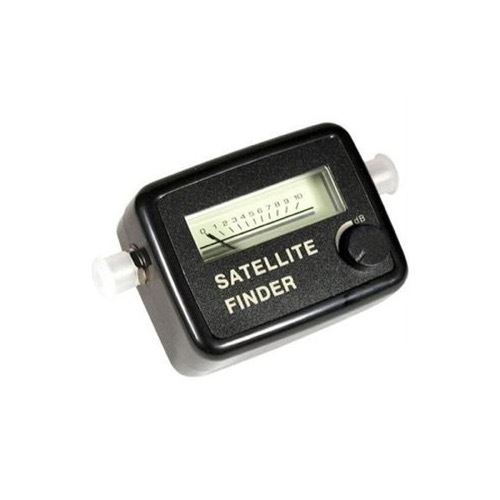 Receive satellite dish reception in seconds with this easy-to-use DSS Satellite Finder! This tool is a must for RV / motor home enthusiasts who take a satellite dish with them on the road, or for home users. This indispensable product lets you easily make adjustments yourself, without having to shout back and forth with a second person at the TV location. No batteries required, it is powered by the receiver. It has a built in light and audio tone. Works with DSS DIRECTV, Dish Network, ExpressVu, FTA MPEG2 / DVB receivers, plus other digital and analog satellite systems. Works with C band or KU band satellite signals.